On July 13, 1925, Robert McF. Brown, a native of Scotland, a Belmont resident and a retired Metropolitan Police Officer in charge of the Beaver Brook Reservation in Waverley, opened the first store-front undertaking and embalming parlor at 393 Trapelo Road, Belmont, along with his son James Brown. As the business grew, they moved to a larger facility in Belmont and he was then joined by his other two sons, William and George Brown. In 1934 after construction was complete the Brown & Sons Funeral Home moved to its final location at 36 Trapelo Road in Belmont. After the death of Robert McF. Brown in 1941. 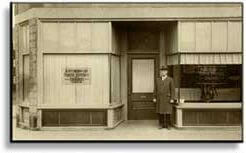 James Brown opened the Brown Funeral Home in Wellesley, MA. while William stayed in Belmont to carry on the business. Following his death in 1965, Williams' wife Darthea Ford Brown a Waltham, MA. native, went to college for her funeral director's license, making her one of the first women to do so. She carried on the tradition with her son, Walter R. Brown. After the death of Darthea, Walter's wife Carole Fundukian Brown came to work for the home. Since the death of Walter in 1997 Carole, along with her two sons Robert McF. Brown and Scott D. Brown, Belmont residents, are the current owners and directors. They are the fourth generation of Funeral Directors in this legacy family business. William T. Hickey was born in Cambridge in 1912, and was a lifelong resident of Cambridge. A 1933 graduate of the Boston School of Embalming he first opened a store front office at 171 Huron Avenue in Cambridge in 1934 and moved to its present location at 175 Huron Avenue under the name of William T. Hickey Funeral Home. Timothy W. Hickey joined his father in 1960, after graduating from the New England Institute in 1959 and the name was changed to the William T. Hickey & Sons Funeral Home, Inc. William T Hickey died in May 1986 at the age of 74. Timothy W. Hickey served in the Massachusetts House of Representatives from 1963 – 1972 and he owned and operated the funeral home for over 35 years, where he continues to be active. In 1986, William's granddaughter and Timothy’s daughter, Sheila A. Hickey, became the third generation to serve as a licensed embalmer and funeral director after graduating from the New England Institute. She earned a Bachelor of Science degree from Boston College School of Nursing in 1983. She began her career as a registered nurse at Cambridge Hospital where she worked from 1983 - 1987. Sheila a Belmont resident has been active in various community affairs and currently serves as member of the Board of Directors at Santa Maria Nursing Facility in Cambridge. The Hickey family has been life long members of Saint Peters Church. Sheila has served on the Parish council and St. Peter School Board. Brown & Hickey Funeral Home offers two large chapels, handicap accessibility, two off street parking lots and is located directly on the MBTA Bus line. The funeral home has been updated and modernized over the years. 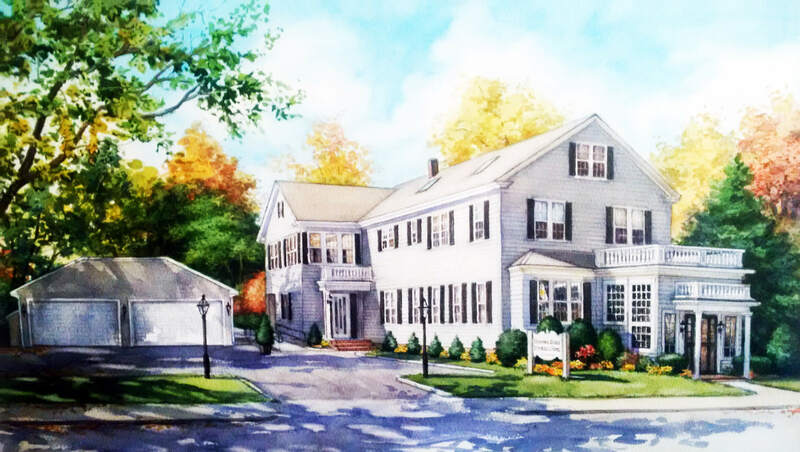 As Belmont's first an oldest funeral home, Brown & Hickey will continue the tradition of professional, caring, and dignified service for all the families in their care by providing them with many options for funeral, burial, cremation and memorial services to meet their personal needs. Robert McF. Brown, July 13, 1925. 393 Trapelo Road, Belmont, MA.